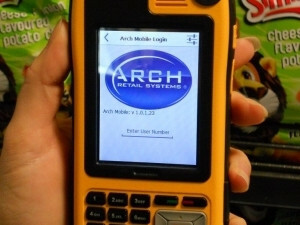 Arch Retail Systems has developed Arch Mobile from retailers' requests for a mobile store management device. Arch Mobile delivers real-time information, and enables transaction processing on the go. The handheld device communicates directly with the Arch server using wireless technology. It enables the user to process transactions on the shop floor without having to dock the device for up- and downloads like previous handheld models. The application currently allows for receiving and stock transactions to be processed on the device and product information to be retrieved using the simple but intuitive general user interface. Arch Mobile has been successfully tested in-store and implemented in the OK Foods DC in Cape Town. Since the official launch of this innovative retail solution, a large number of units have already been sold.